It’s been years in the making, but the Star Wars hotel has just gone vertical at Walt Disney World. The highly anticipated hotel promises and immersive one-of-a-kind experience for the Star Wars fan when it opens. First, here’s a reminder of where the hotel will sit. 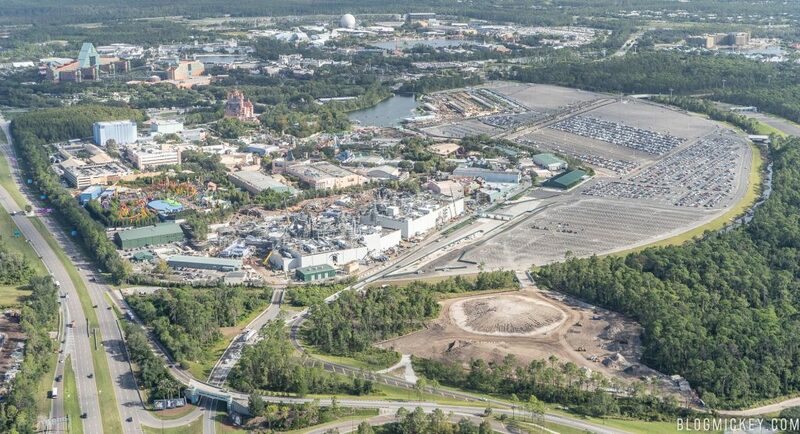 This is an older aerial photo of the plot of land just south of Disney’s Hollywood Studios where the hotel will be located. Today, we made it out to the construction site next to Star Wars: Galaxy’s Edge and found that the west side of the structure has gone vertical! 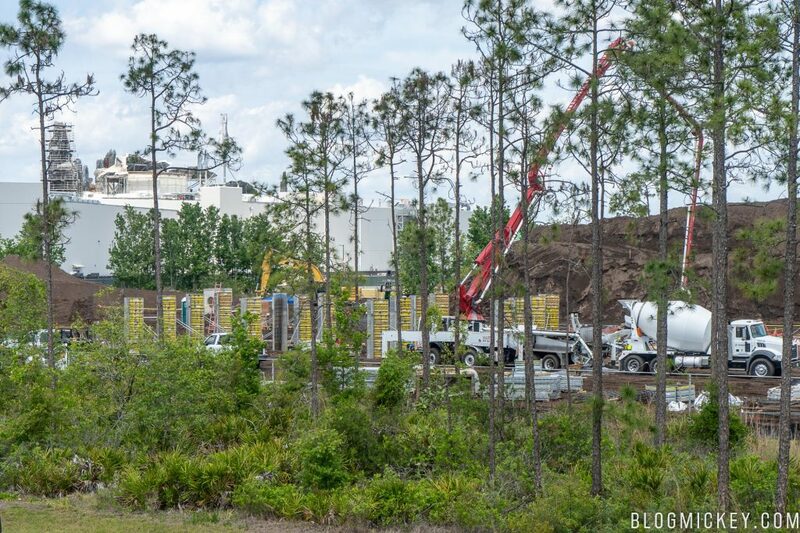 Disney hasn’t cleared all of the trees, so the first couple of photos will show the construction site through the trees as viewed from the south and west of the site. A wider view shows how close the hotel site is to the backside of Star Wars: Galaxy’s Edge, just a couple hundred yards. Finally, here’s a closer look at the construction site as of just a few minutes ago. 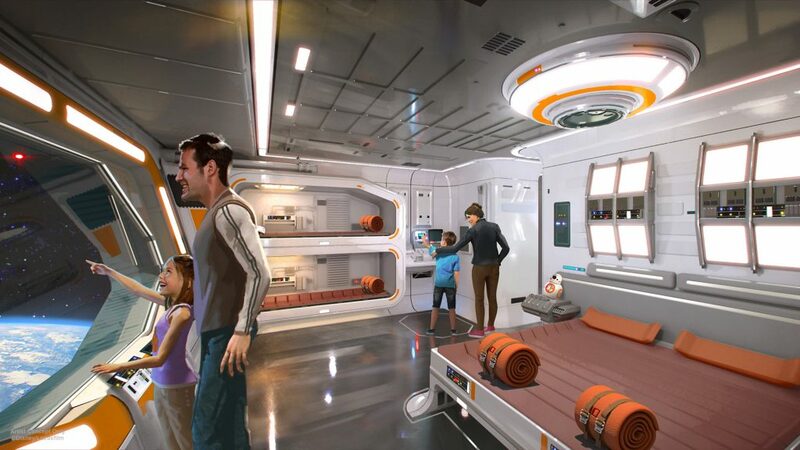 The Star Wars hotel is said to feature an immersive experience that throws you into the middle of a working spaceship. 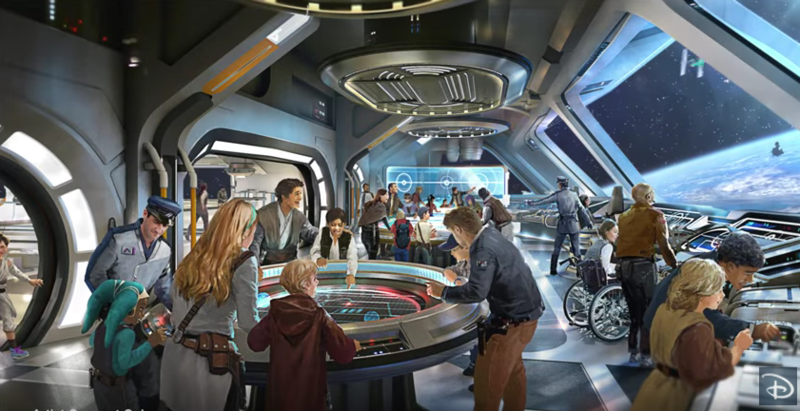 From rooms that resemble crew’s quarters, to lounges and immersive experiences, the Star Wars hotel promises to be the most realistic experience a Star Wars fan can get. It will also “seamlessly connect” to Star Wars: Galaxy’s Edge, likely via a themed bus. Disney has not yet announced an opening date for the Star Wars hotel at Walt Disney World. 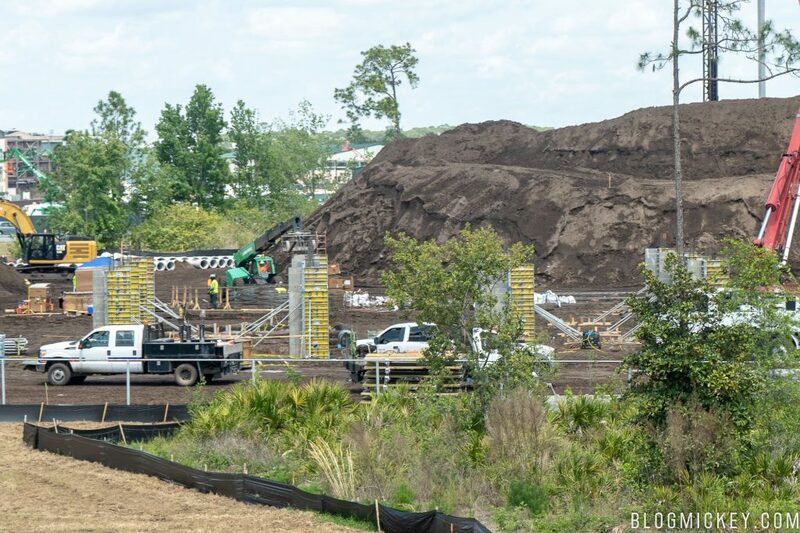 As always, make sure you stick with BlogMickey.com for the latest photos and news about the Star Wars hotel and many more projects from around Walt Disney World!